This boat has been lovingly restored with the goal of ocean cruising and she sails like a dream with her new mast, boom, and sails! 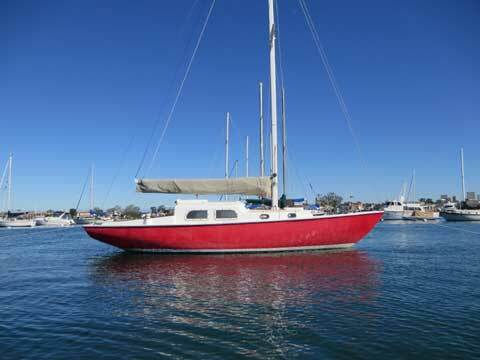 She is just waiting for a new owner to finish with their own special touches and take her sailing! 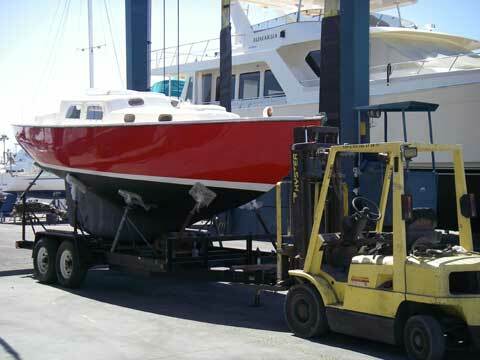 Extensive re-fit was begun 2006 to create the best sailing Triton possible. New LeFiell rig mast (36'10") on tabernacle. New standing rigging with Hayn Hi-Mod fittings. New Ullman Main, Jib and Genoa. Engine / transmission / gas tank removed and prop aperture filled and faired. Bottom faired and epoxy coated. 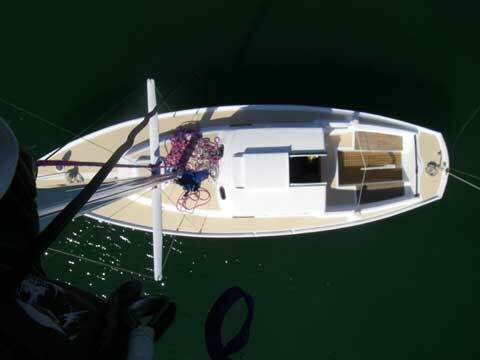 400 pounds of lead added to bilge to stiffen hull. New mahogany rudder with new silicon bronze shaft built to Carl Arlberg's improved design. New heavier bronze rudder shoe. New Andersen self-tailing sheet winches. Chainplate knees re-built and new chainplates installed. All large ports replaced with 3/4" lexan, all small ports with 1/4" lexan. New Danforth Saturn bulkhead compass. Large bronze mooring bitt. 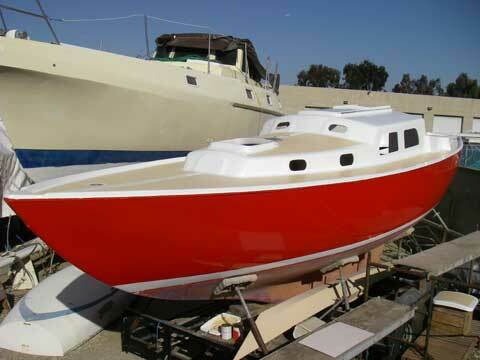 Issues: Some fading of the bright red LPU since launching, teak handrails and genoa track need to be installed.